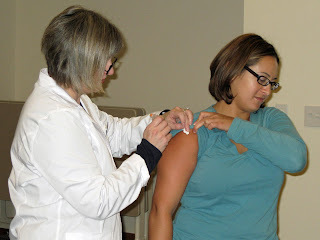 We worked with United HealthCare (UHC) who contracted with Mollen Immunization to administer our flu shots this year. The experience turned out to be frustrating. The forms Mollen used were long and asked for a lot of duplicate and irrelevant information. The communication from Mollen was poor. Mollen actually delayed the start of our clinic insisting that they were required to collect a credit card number from each person even though the individuals were not paying for the vaccines. UHC stepped in and resolved that issue in about ten minutes, but by then a line had formed. Mollen sent two nurses to administer the shots, but no one to handle the paperwork. The line moved slowly and continued for the full duration of our clinic which ran from 10:00 until 1:00. The nurses were actually at our office until 5:00 p.m. working on the paperwork from administering 136 flu shots. We shared our feedback with UHC and painted a picture of the differences between this year’s flu shot clinic and past year’s clinics when LifeWork Strategies (LWS) administered our flu shots. Past year’s clinics had reasonable wait times, there was minimal paperwork, and communications from LWS regarding what they needed was very clear. UHC was empathetic and very disappointed that we were not pleased. They have approved for us to use LifeWork Strategies to administer our flu shots next year. They've given us a reasonable budget and will reimburse us for our actual expenses up to that amount. This represents our experience working with UHC well. They're consistently accessible, reasonable and responsive. When we switched our coverage to UHC in 2011, I was concerned that the service would be impersonal dealing with such a big company. However, our experience has been just the opposite. We work with a wonderful team of folks at UHC and they treat us like we're a key account. Special thanks to Eugenia Perna and Lisa Roy. We love working with you both. On a related note... read about how we passed the time while waiting in line. 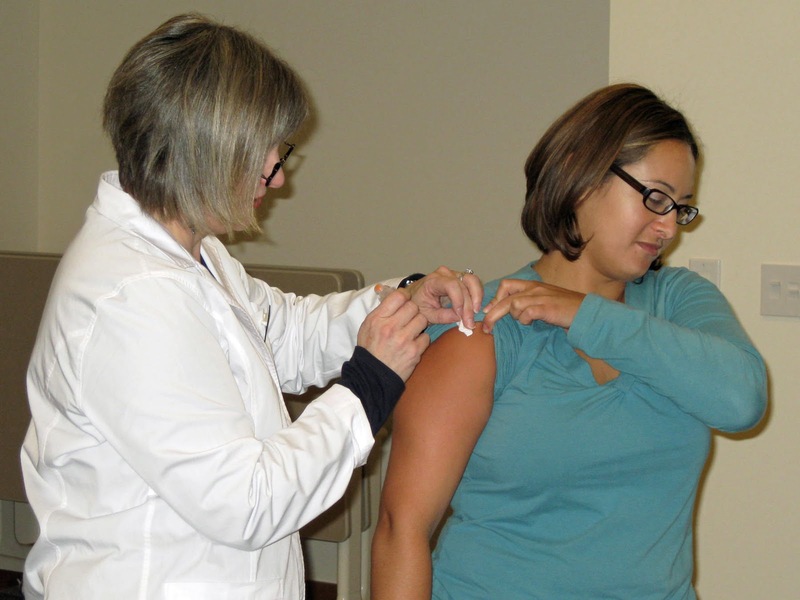 Wondering why you should hold a flu shot clinic in your workplace? Read Staffing Continuity, Flu Shots and Workplace Wellness.